Professor Cornelis DEKKER, Delft University of Technology, The Netherlands. Our most senior award – NANOSMAT PRIZE recognises, substantiates and honors only very high calibre scientists for their professional leadership, originality and innovation in research and development relating to nanoscience and nanotechnology with a particular focus on nanomaterials. Past NANOSMAT PRIZE recipients include Professor Jeff Th. 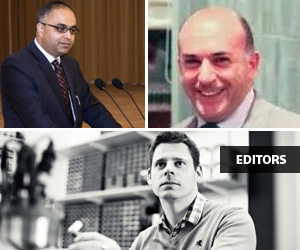 M. De Hosson, University of Groningen, the Netherlands (2009); Professor William Milne, Cambridge University, UK (2010); Professor Yuri Gogotsi, Drexel University, USA (2011); Professor Morinobu Endo, Shinshu University, Japan (2012); Professor Alexander M. Seifalian, University College London, UK (2013); Professor Zhong L. Wang, Georgia Institute of Technology, USA (2014), Professor Werner J. Blau, Trinity College Dublin, Ireland (2015) and Professor Pulickel M. Ajayan, Rice University, USA (2016). 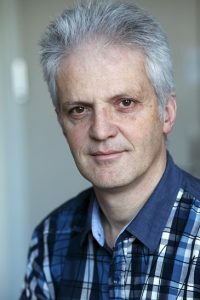 The 2017 NANOSMAT PRIZE will be presented to Professor Cornelis DEKKER from the Delft University of Technology in The Netherlands for his outstanding contributions to the field of nanoscience and nanotechnology, in particular for his pioneering work in carbon nanotubes (CNT’s), DNA break repair, translocation and transport properties. The 2017 NANOSMAT PRIZE will be presented at the 12th NANOSMAT conference to be held at the Pierre & Marie University in Paris, France (www.nanosmat-conference.com) during 11-13 September 2017.